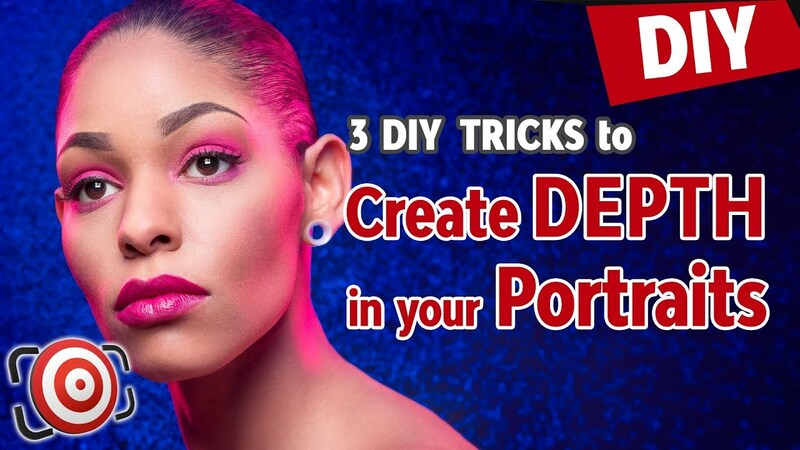 In this video Joe Edelman demonstrates 3 DIY photography tips that you can use to create depth in your studio portraits and modeling shots. Using simple things like water and hair spray I will show you how you can use these do it yourself techniques with a speed light, a pocket flash or a studio strobe to create dramatic studio portraits. Solid colored paper backgrounds are great when shooting studio portraits and modeling shots because they let you isolate your subject and since they come in different colors they are very versatile - if you have enough money to buy every color. I already showed you that gray is the most versatile color for portrait photography because you can turn it into any color with gels on your flash or strobe like the Interfit Honey Badger. But even with all the possible combinations of colored backgrounds and gels - sometimes you are going to want more from your studio lighting. A little something to jazz up that seamless paper background and create some depth. New photographers are taught that especially with a dark background - you should separate your portrait subject from the background visually with a rim light or a hair light - so that you don’t wind up with a floating head. This too is a great technique - but it is just one more tool that you have to jazz up your backgrounds and indeed - sometimes you want something a little more. Another DIY studio lighting trick is to actually place an object or some kind of material between your subject and the background to create the feeling of depth. While this works - you do need to be careful that you aren’t making your shot too busy - and stealing attention from your subject. One of my favorite tricks is to use WATER and a black seamless paper background. Get a spray bottle like this one that you can order on Amazon or find at a hardware store or even some times at a dollar store. The bigger the better because you do want the spray to travel.